Attention Mentor Plus M.B.A. Program Graduates, Mentor "U" is the fastest way to build your advisory practice. Mentor Plus® Mentor "U"niversity includes 6 on-line training sessions that will give you the knowledge and confidence you need to teach your clients how to run a better business. 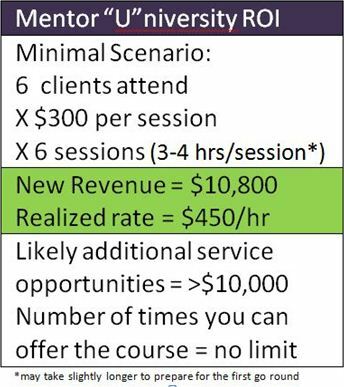 Once you have completed these sessions you will be prepared to take the turn-key Mentor Plus® Mentor "U"niversity package of tools, lessons, and resources and start generating a new income stream by growing the business acumen of your clients. How Does Your Company Keep Score? 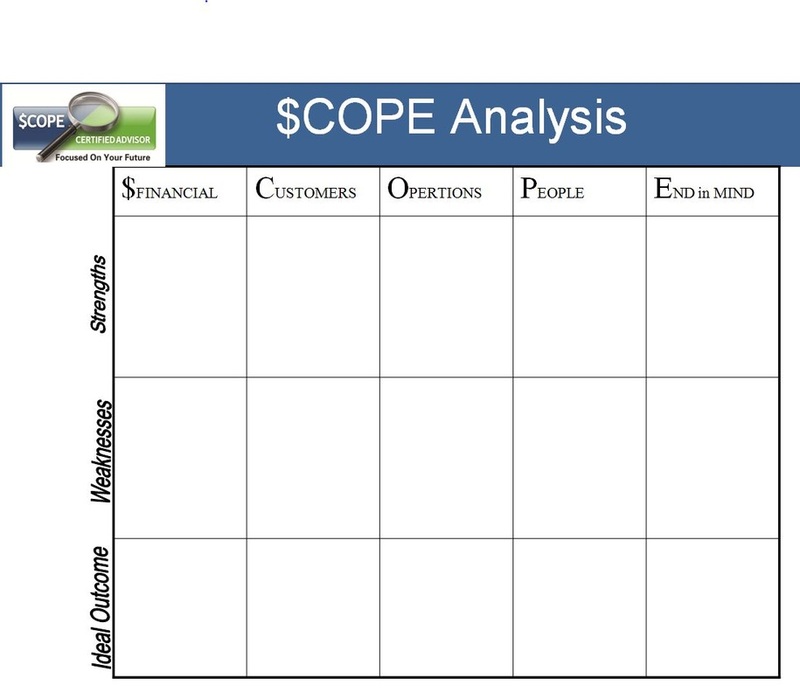 Financial Analysis - $COPE IT! Plus up to 10 Behavior Communication Assessments to use with your Mentor "U"niversity participants. The program pays for itself very quickly and becomes a permanent revenue generational tool you can leverage for years to come. The concepts in the program are timeless, once you teach each lesson your prep time goes down significantly thereafter. Often times you can find a bank or other strategic partner to "host" the event and even subsidize the tuition for attendees. Mentor Plus® Mentor "U"niversity curriculum is based on the $COPE Advisor Framework. By the end of the six sessions you and your clients will have the mind set, skill set, and tool set to complete the analysis below and reach their desired outcomes.